The cumulative update 04 for Microsoft Dynamics NAV 2018 has been released, with build version 21441. The download is available through Microsoft Download Center, more information about the platform fixes and application fixes are available in the knowledge base article. See also the official NAV Team Blog. A lot of platform hotfixes have been implemented. 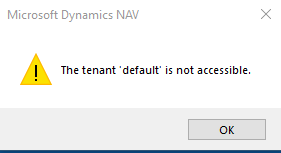 As i’ve seen the error message “The tenant ‘default’ is not accessible” has been made more specific. Today i ran into this problem that i got this error message when I’ve tried to open the Dynamics NAV Windows Client. The solution was to synchronize database tables which is described in this troubleshooting article on Microsoft Docs. 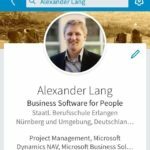 Also mentioned in this article is the possibility to change the setting in the Dynamics NAV Server CustomSettings.config file to allow access to the client while objects are in status “synchronization pending”.